In 1998 Dr. Maranzana, professor at ÉTS, the largest Engineering School in Québec, took a sabbatical year and spend several months at Bombardier Aerospace to immerse himself with design teams and “live” their daily challenges. Back to the university, Dr. Maranzana start thinking about a breakthrough concept that would allow one to find 3D models based on their shape rather than using words. 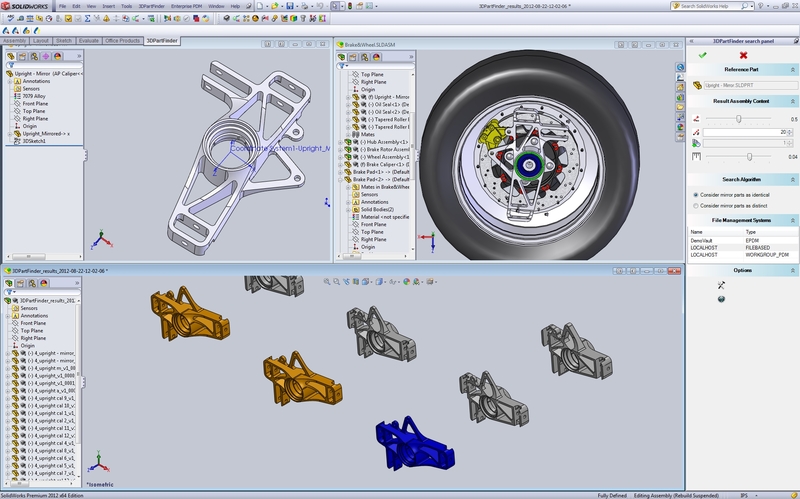 As a shape-based search engine 3DPartFinder requires only a shape and size of a 3D model to find the most similar ones in your 3D database whether they are a PDM, PLM, ERP or any other system in which you store 3D CAD files. Take an existing part to launch your search: You know the location of a similar part to what you have in mind. 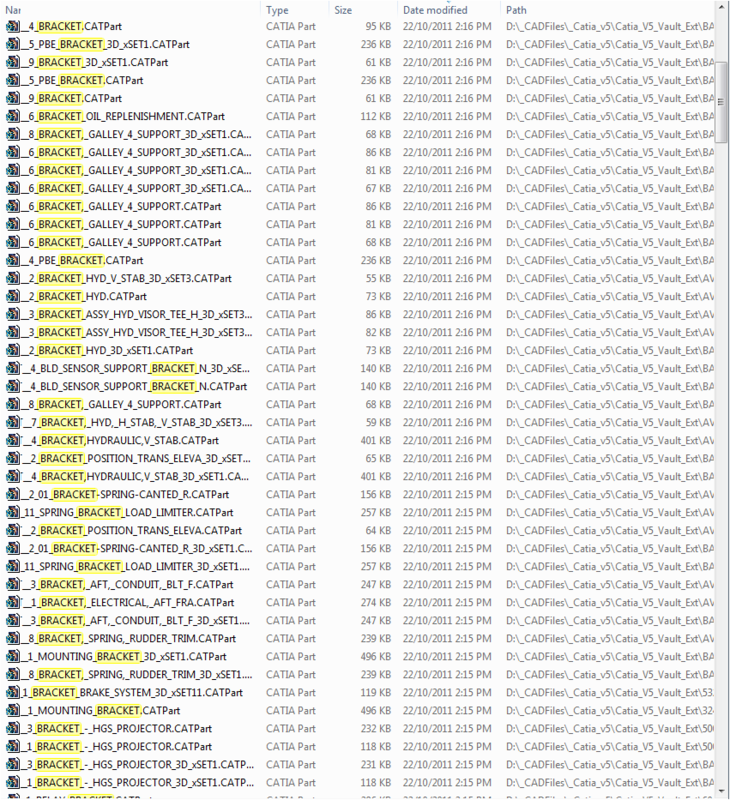 Then open this file and use it as your reference part to launch a search. That is all you have to do. 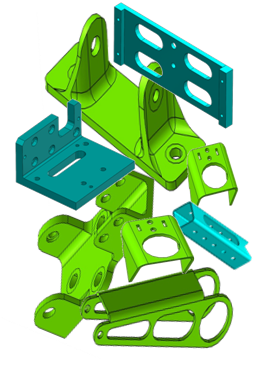 Create a quick rough 3D model: You no idea if a part exist then simply initiate your design by creating a rough 3D model of the part you need and launch 3DPartFinder. If finding similar part is the first step than the second one is to make a choice among them. You will most likely want to check the diameter of a hole, measure the distance between two holes, evaluate the thickness of base etc. Do you know a better tool than your CAD system to perform this analysis? Probably not and this is why we have integrated 3DPartFinder in your CAD system! The same search performed by an english (handle), german (griff) or french-speaking (poignée) person will often bring different results! 3DPartFinder will find the most similar regardless of their native language. These are all “brackets” but for Shape-based search only their shape will be considered to find the right one!